Snow fell in Tokyo this morning. 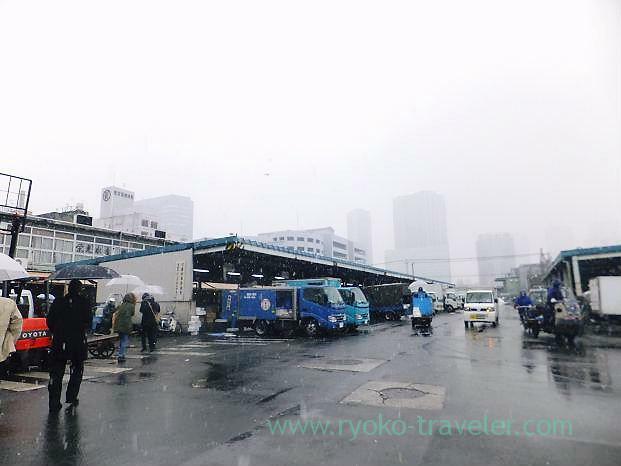 I expected Tsukiji Market don’t have much people than usual on such a cold snowy morning. But, it was so crowded. Yonehana didn’t have people waiting in front of the shop, but there was no vacant seat.. Ordinary I never wait outside such a cold day. But I knew today’s chef’s choice is oyakodon on twitter. Yonehana’s oyakodon. I had only heard about that. It sounds yummy, don’t it ? That is why, I waited for about 10 minutes or so, and finally I entered the shop. By the way, about ten people followed me just after I got to the shop. I was lucky ! As soon as I seated, my side dish came. Very hot ! 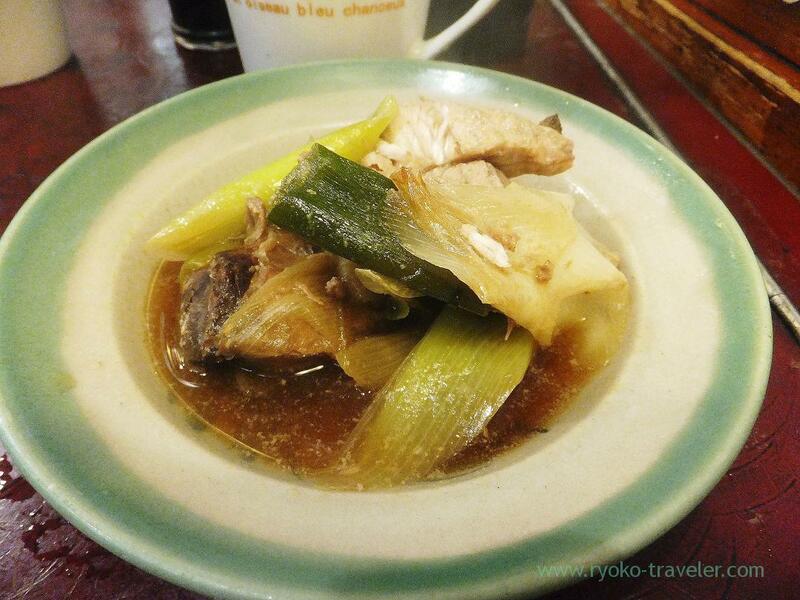 My body got too cold outside, so that hot simmered fish and green onions made me really happy. I came to Tsukiji late today and I had much time and also my body was cold, so I ate it while waiting my oyakodon. After a while, my Oyakodon came. How large rice ! Unbelievable ! Its rice seemed twice as large as usual sashimi bowl and yakitori bowl…..
Those chickens were lightly grilled ! It was flavory ! 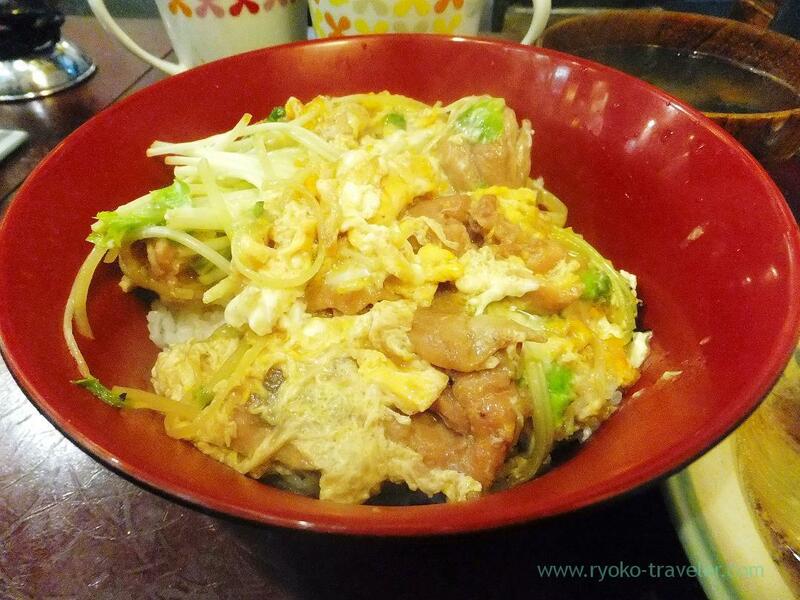 This oyakodon had yakitori ! Springy chicken was so tasty. 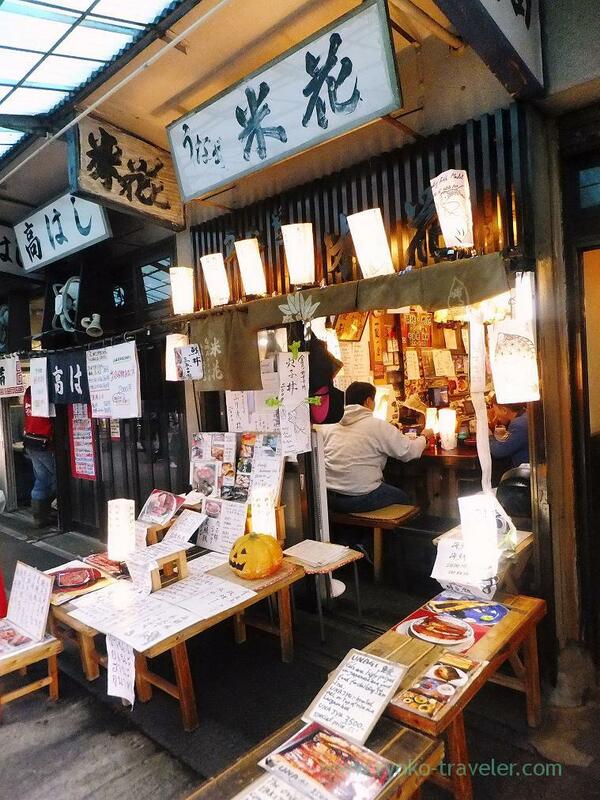 Yonehana’s yakitori is amazing all the same ! I couldn’t eat it up !!!!!! now I know what I’m going to do with leftover yakitori. Ah,I think that is a good idea.